Have Their Eyesight Checked– It’s important that you are up to date with all the aspects of your senior’s health. Visual impairment is one of the major causes of falling in the elderly. With this in mind, make sure that they have their prescription glasses on to aid them daily. Keep A Close Eye On Their Behavior– Are they holding on to pieces of furniture, walls, or anything that they come close to? If they are, make sure that they are not left alone to walk around at home for this may mean that they are having difficulty balancing or seeing the things around them. 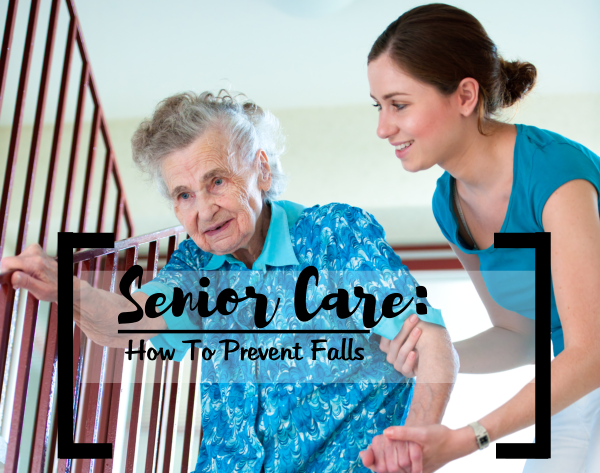 With just a little bit of a slip or bump from edges they may not have seen, it would lead them to falling and this could be more serious especially in their age. Check Medications– Some medications prescribed to your seniors may have side effects such as dizziness. Make sure that your seniors are given safer alternatives for other medical conditions. Be Constantly Updated On Their Health Condition– Get them checked up on a regular basis. Are they worried about falling? Do they get dizzy often? Do they feel like their legs cannot give them as much support as it used to? With all these questions in mind, make sure that every concern is addressed, so as to make sure that they will not be subjecting themselves to danger anytime soon. Get Them Residential Care Services– Now, some of you may be uncomfortable with the idea of your senior loved one away from their home. But if you do not have a professional looking out for your senior, this may be the best option for them. Do not think of it as abandonment, think of it as resorting to more effective measures to make sure that they are well taken care of and are safe from any health hazards. Pacific Sunrise Home, a Residential Care Facility in California may be what your senior needs at this time. We offer 24/7 care for your seniors and ADL (Activities of Daily Living) Assistance, which means that one of many professional staff we have is always right by your senior’s side. Don’t worry, you will always be welcome to visit. Think of it as coming to your second home. Give us a call at 310-500-7223 or visit http://www.pacificsunrisehomes.com/ for inquiries and further information about our residential care for your seniors. This entry was posted in Residential Care, Senior Care and tagged Facility, residential care, senior communities and financing. Bookmark the permalink.